Cue child: kicking and screaming in the grocery store aisle because they were denied the sugary cereal. Toddler enters room stage left, drops to the floor, crying, arms and legs flailing because you cut their toast after they asked you to. 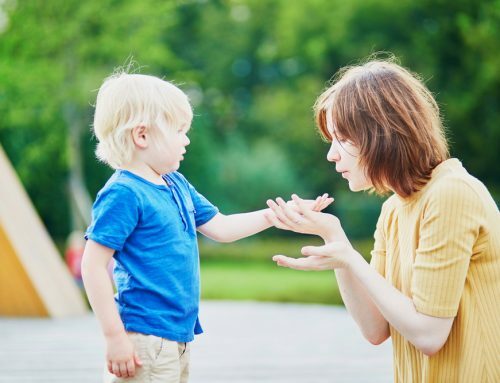 We have all been there or we will all be there at one point or another–that moment when things don’t go the way your child wants and they react in what seems like a disproportionate way to you, but seems completely reasonable to them. 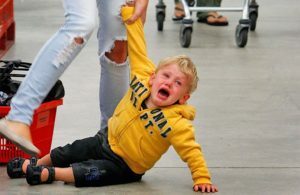 Upon examining these scenes, most people, parents included only see a child who is having a tantrum, or a child who is misbehaving /acting out, or even worse they blame the behavior on poor parenting. What they don’t see is that this child is communicating. While simple enough, this realization offers a solution based perspective to ‘problem behavior’. It changes the narrative of “my child is bad” or “they are doing this TO me” and offers “they are trying to tell me something”. The behaviors in question can look like talking through a situation and clearly expressing feelings and thoughts which is what most people are used to. With younger children, those who don’t have a complex vocabulary or a lot of words, or children with special needs it can look like: throwing, crying, kicking, running away, biting, laughing, washing hands, not saying anything at all, over eating, refusing to use the washroom, not eating, hitting and the list goes on. These behaviors can be indications of insecurity, anger, pain, joy, curiosity, lack of sleep, fear etc. Often times the thing your child is having a meltdown over i.e. the cereal, is not really at the root of the meltdown, then what is? One of the first steps to understanding what is being communicated through these behaviors, is finding out what function or purpose the behavior serves. Is your child trying to get access to something, a toy, the park? Is this behavior fulfilling a sensory need, it is helping them self sooth? Is your child trying to get attention from a parent or teacher, or perhaps they are trying to escape something, like chores, homework, or an unpleasant situation? Offering them more choices throughout the day. For example, if it is play time, do they want to play with a blue ball or a red ball? You can model more appropriate or socially acceptable ways to self sooth, like taking deep breaths, or counting to 10. As an alternative to running away you can teach your child to ask for a break or schedule in down time during their day. Keep in mind we have only just scratched the surface of functions of behavior and different strategies to address them. Figuring out what your child is trying to communicate through their behaviors isn’t always an easy task. It can take a long time and can be quite frustrating for both parent and child. 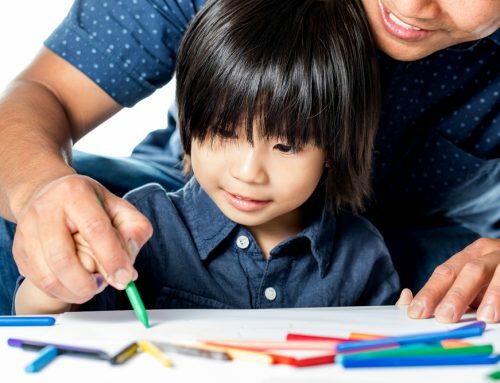 There are so many ways to communicate with your child and with a little effort and a lot of patience, you will find the one that works best for the both of you.